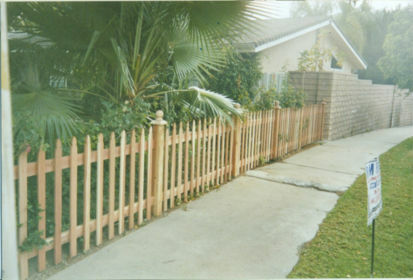 Horizontal tongue and groove redwood fence with 3 tier post cap (cap optional). 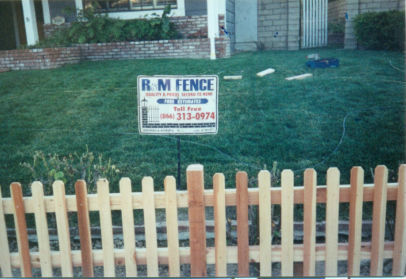 This picture shows 2 of our most popular fences. 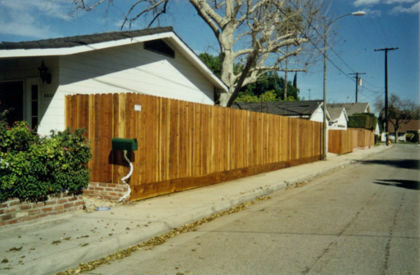 Front yard fence is 42" in height which is code in most cities. 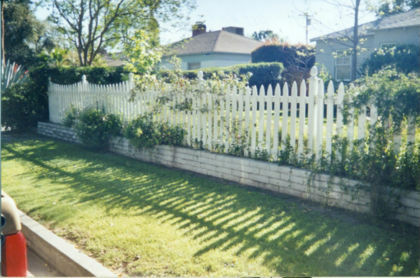 This horizontal fence gives your front yard an open look. 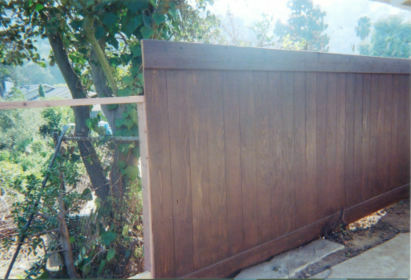 The gap can be chosen by owner. 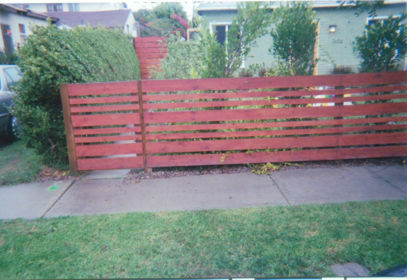 Backyard fence is a 1x6"x6" Redwood tongue and grove for ultimate privacy, complete with walk-gate. 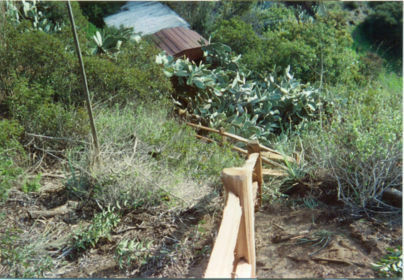 All posts set in concrete. 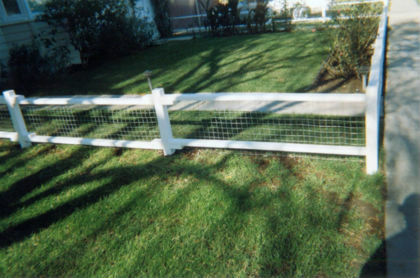 Dress your gates up with 1/2" strips for pennies. 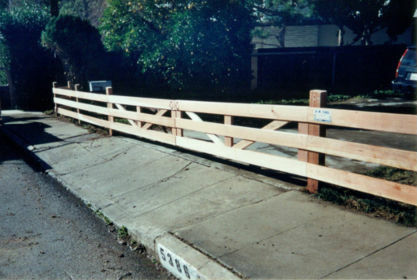 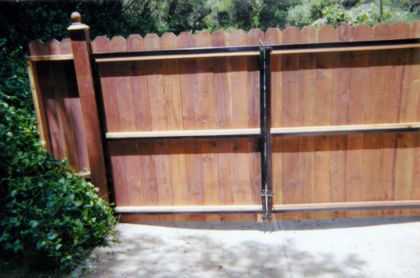 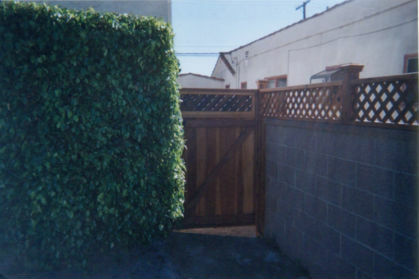 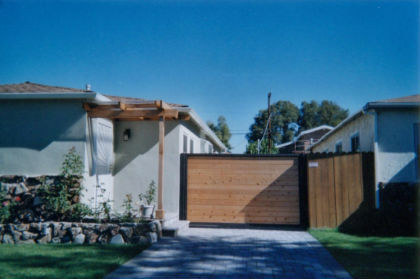 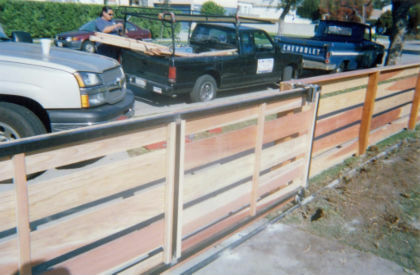 These 1x6”x6’ tongue and groove double-driveway gates, are trimmed with 1x2 strip and post caps. 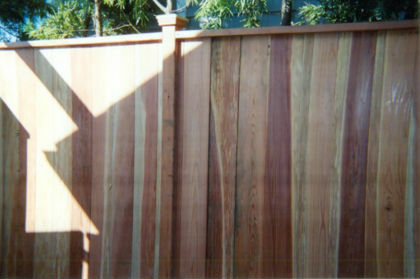 Open lattice on wall, redwood tongue and groove on walk gate, redwood post on wall with optional cap. 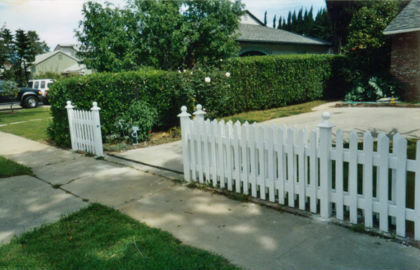 Stay out pooches! 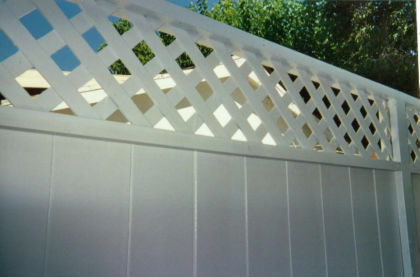 Painted white with square 22 guage metal. 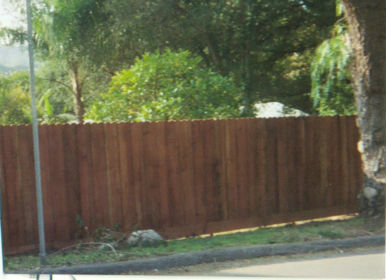 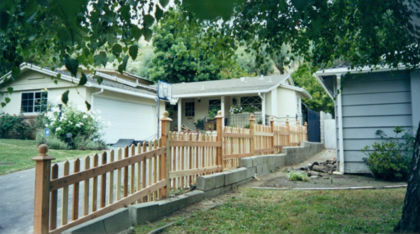 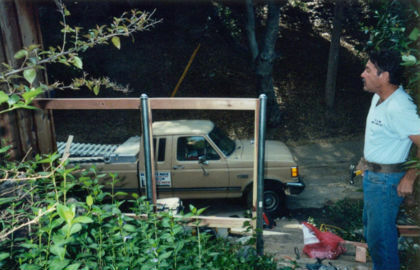 Ranch style 1x8 redwood fence with exposed 4x4 redwood post set in concrete. 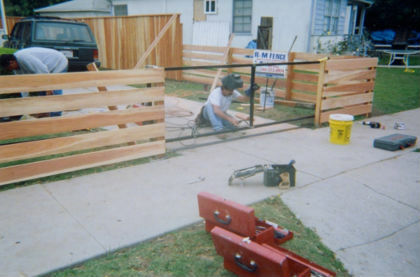 1x6 clear redwood (no knots) s4s horizontal fence with rolling gate made and welded from scratch from 1 1/2 square black powdered coated 14 gauge metal on galvanized v-track and 4” wheels. 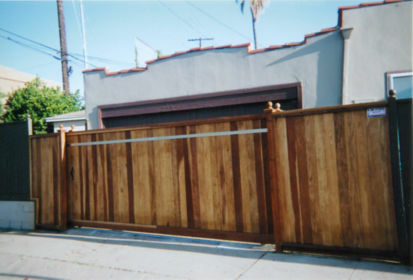 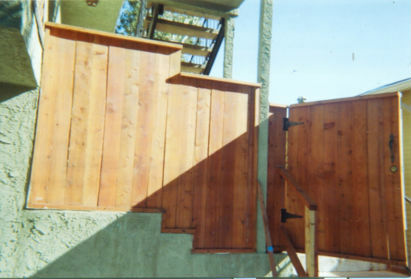 Backside of 1x6 redwood horizontal gates on rollers. 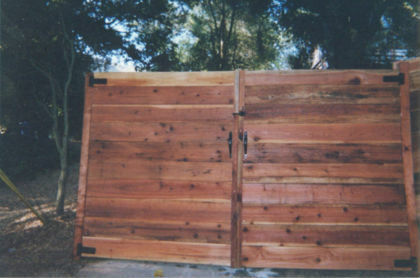 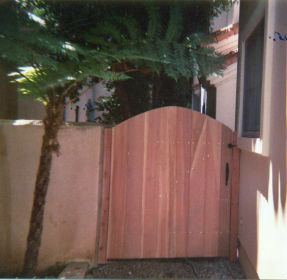 Corral Redwood gates with heavy duty frame. 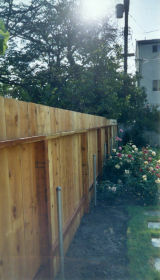 This Redwood fence provides an inexpensive way to get more height. 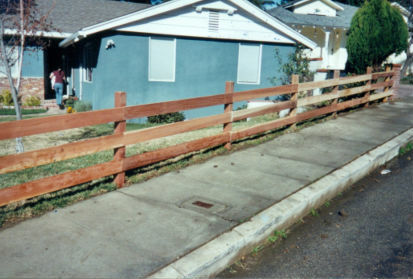 The total height for this fence is 7 feet. 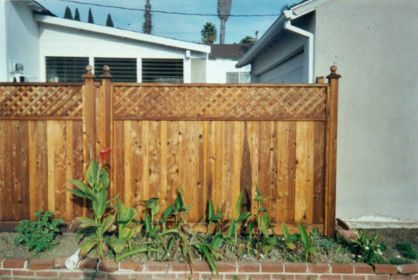 This fence takes 1x6"x6" Redwood dog ear boards with alternating 1x2" for open but yet closed style. 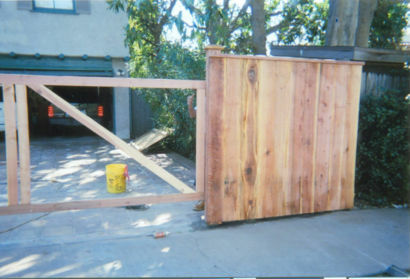 We also build drive-way gates. This one here is an 1x6"x6' horizontal tongue and groove redwood for ultimate privacy. 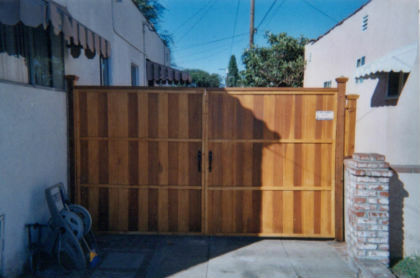 Built on a power coated 14 guage black wrought iron for strength and longevity. 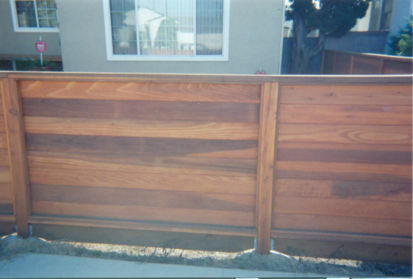 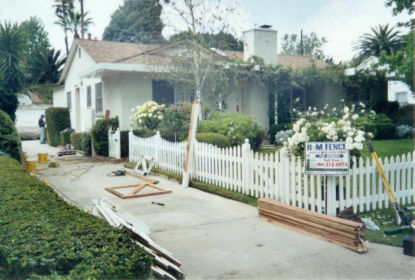 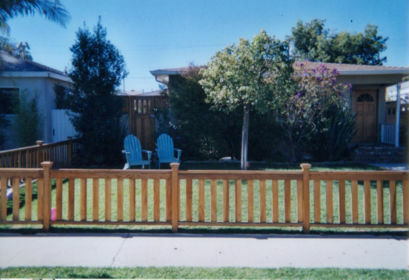 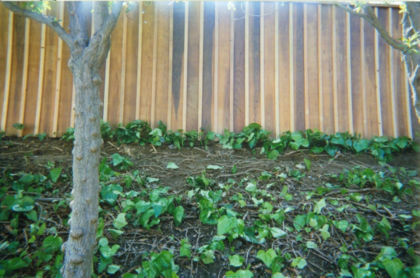 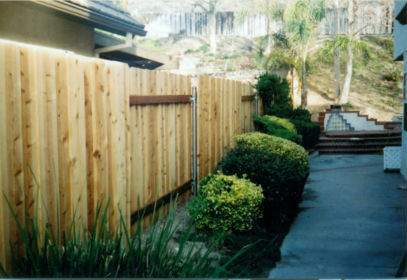 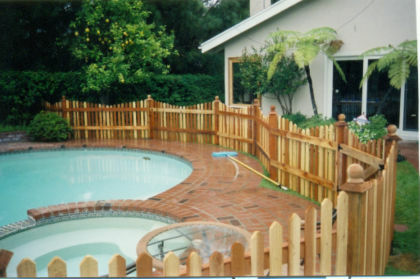 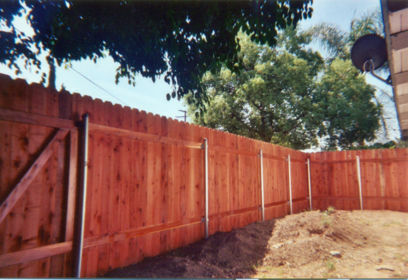 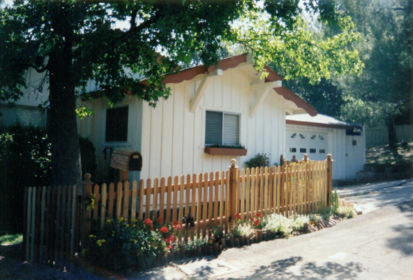 Personalize your yard with a 1x6” redwood horizontal fence. 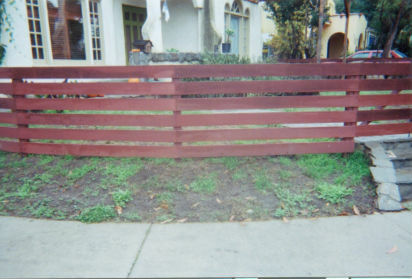 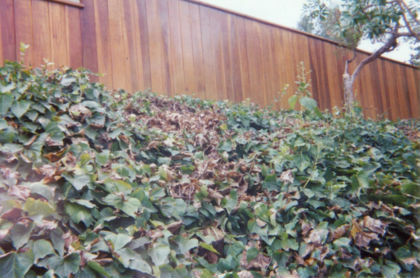 This particular fence is stained brown. 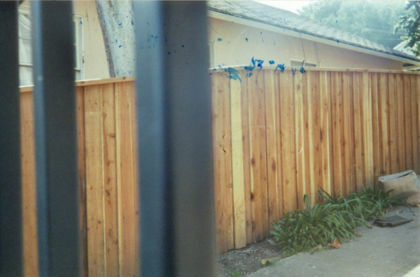 We recommend you always stain instead of paint. 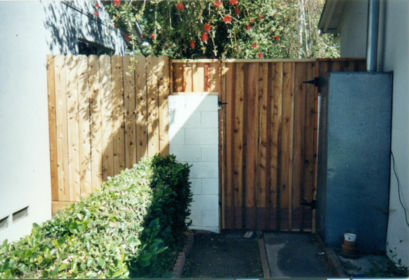 Sometimes you want privacy up to 42” which is code in most cities. 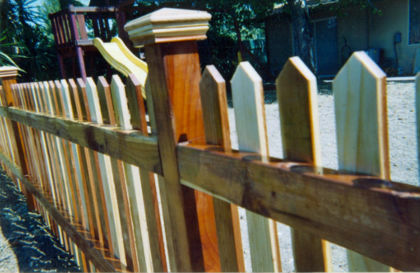 This 1x6 horizontal tongue and groove will give you that. 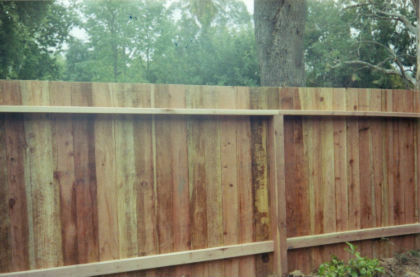 There’s no separation in these boards. 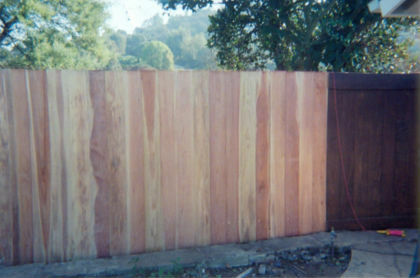 Back side 2x4 frame of a 1x6”6’ redwood straight top fence 4x4’s set in concrete. 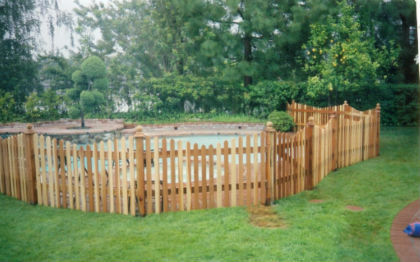 Most popular fence we build from scratch. 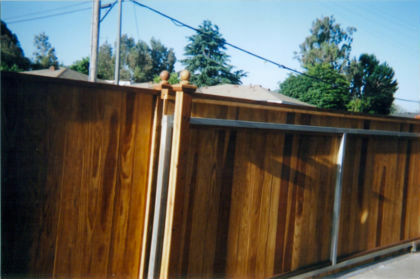 1x6”x6’ tongue and groove smooth S4S redwood with 2x4 grooved ornamental cap on top, and exposed 4x4 post with 3 tier ornamental cap of its own. 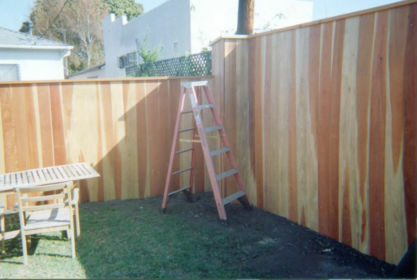 Redwood diamond lattice for height and pizazz. 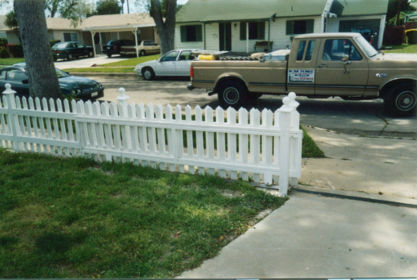 This customer painted theirs white. 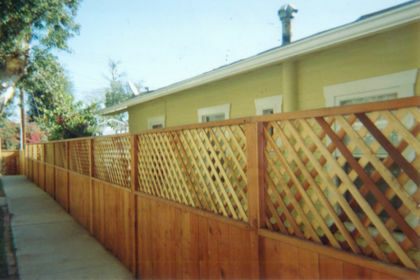 Lattice sits on top of 1x6”x6’ redwood fence. 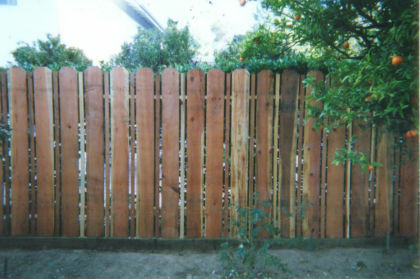 We recommend that you always stain this. 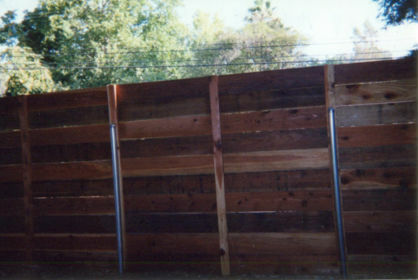 1x6"x6' redwood tongue and groove with a 1x10" on face. 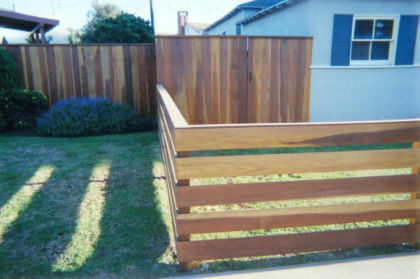 Top and bottom stained brown.